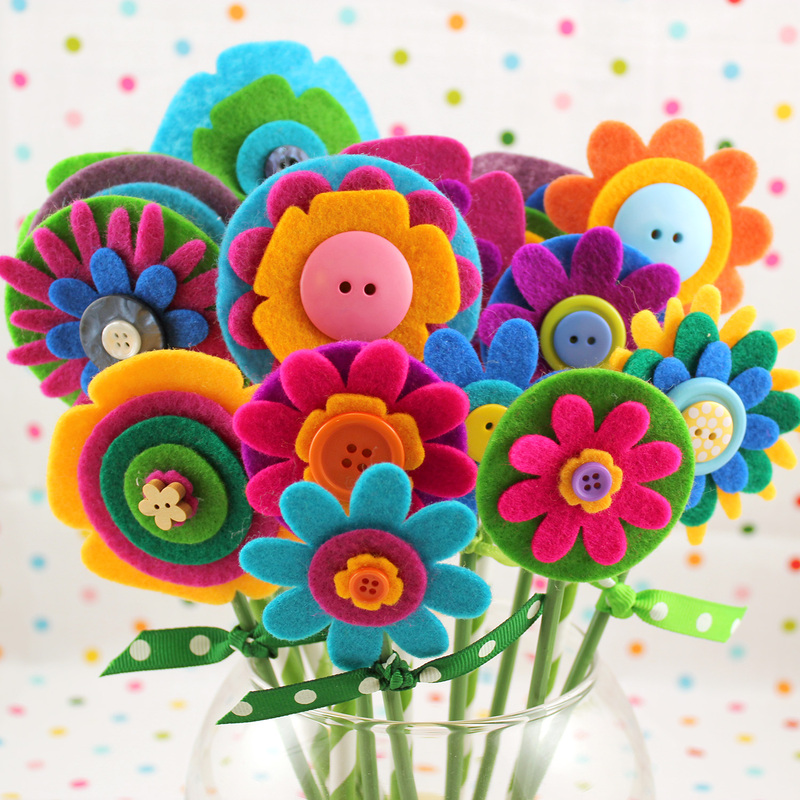 A bouquet of these pretty no-sew felt flowers makes a wonderful homemade Mother’s Day gift idea! Easy enough for kids to make, but fun for adults, too! 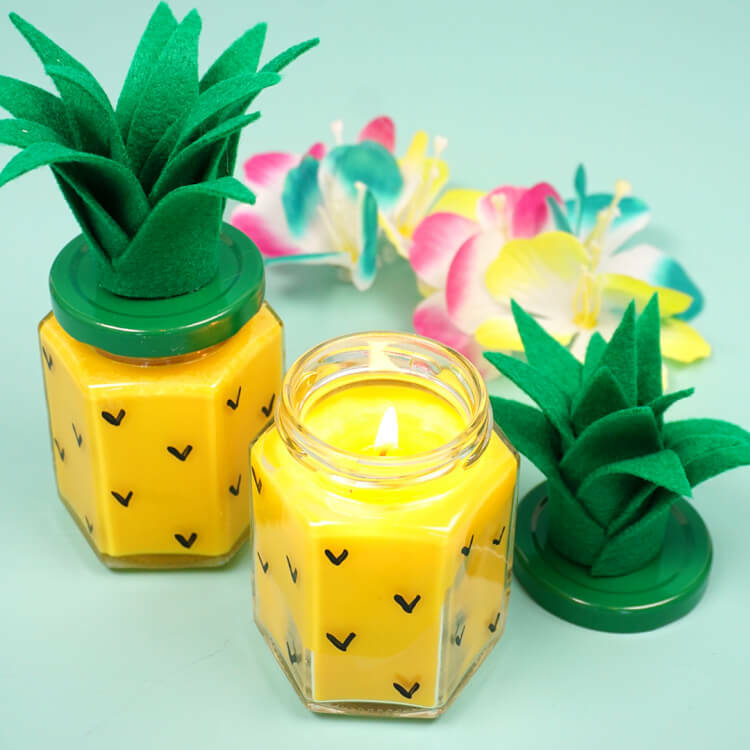 A sweet Mother’s Day craft that the whole family will enjoy! 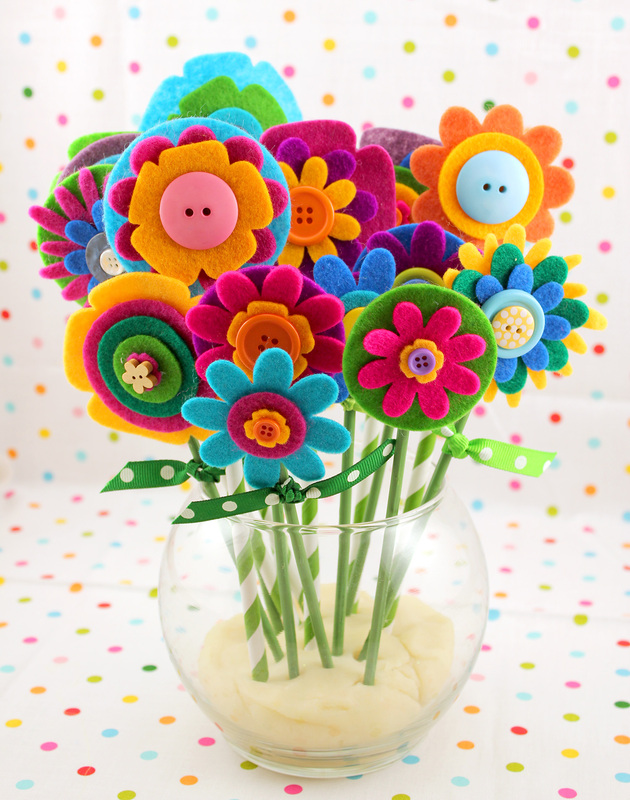 Mother’s Day is just around the corner, and these adorable felt flowers make a perfect homemade Mother’s Day gift idea! 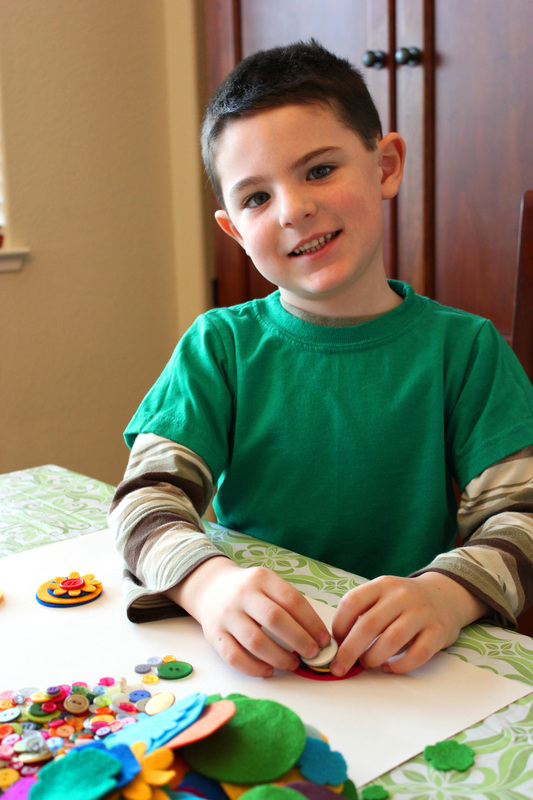 They’re so easy that children as young as 3 or 4 can make them (with some assistance, of course! ), but they’re so much fun to make that even the adults will want to make some as well! 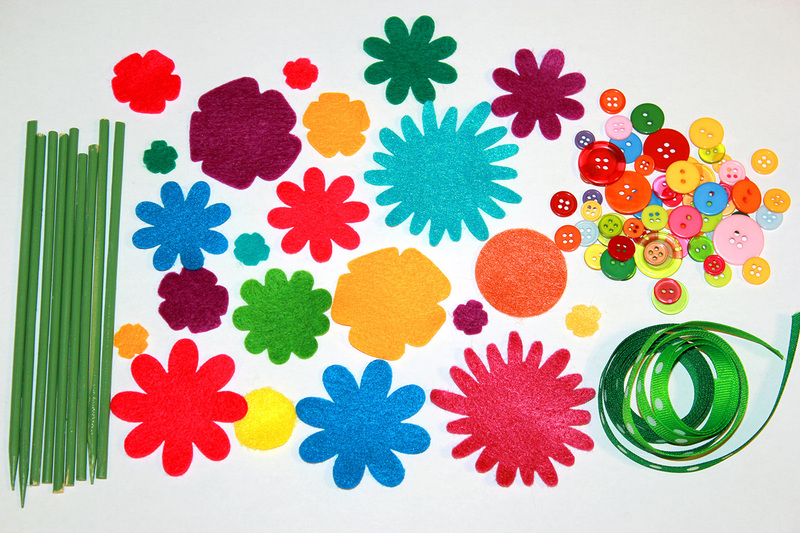 Felt, cut into various sized and shaped flowers and circles – we used our Sizzix Big Shot and the Flowers, Leaves & Stem #5 Die to make quick work of it, but you can also purchase pre-cut felt flowers to save time or simply use scissors and cut by hand! 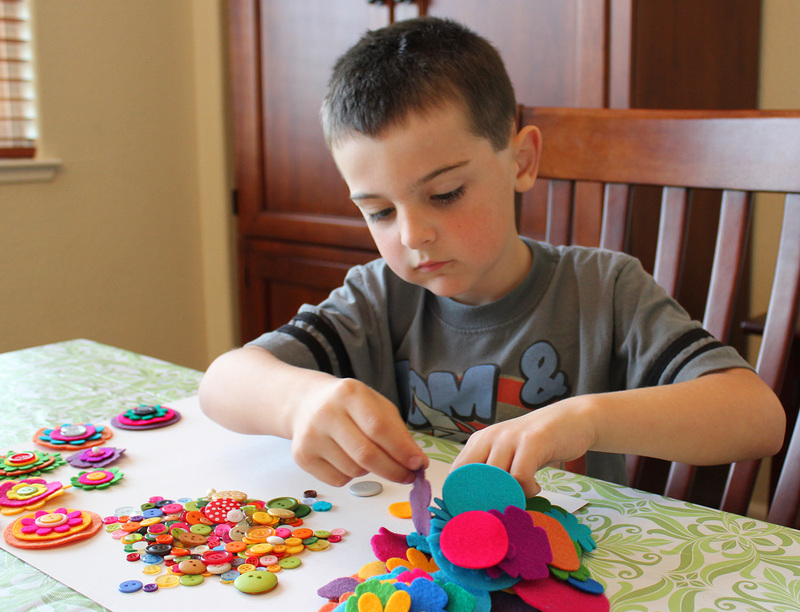 Select the colors and sizes of felt pieces that you want to use (3 to 5 work best) and start layering. Add a dot of glue to the center of each layer to hold your flower together, but do not glue all the way to the outer edges. This will create a flower with more depth and dimension. 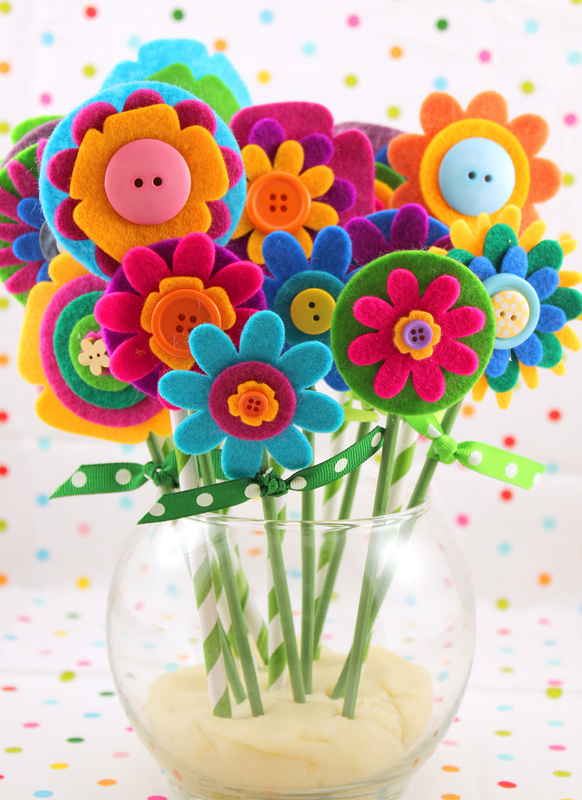 Finish the center of each flower by gluing on a colorful button, or layering two different sized buttons to create even more dimension. Glue a wooden skewer or paper straw to the back of the flower to serve as the stem. Felt glue will work, but hot glue will work even better as it holds strongly and dries quickly. (Always use caution and have adult supervision when working with hot glue!). Tie a short length of green ribbon to the skewer to create leaves. Bundle your flowers together and place them in your favorite vase. Hint: if the mouth of your vase is too wide to hold the flowers upright, try placing a small piece of floral foam or playdough in the bottom of the vase to hold the stems in place. 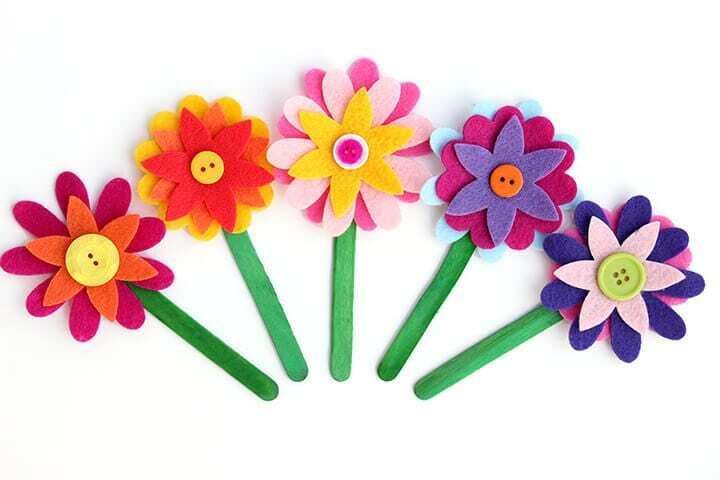 These felt flowers are SO quick and easy, and they are SUPER cute! They make a sweet Mother’s Day gift, but really, they’d be a lovely and welcome gift any time of the year! 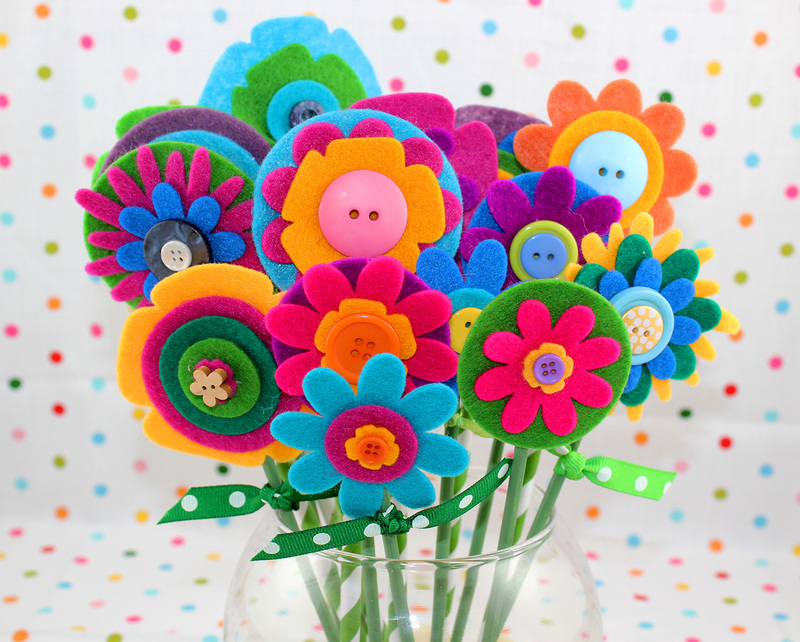 Pin these Felt Flowers for Later! Seriously.. this is Hilarious! And only because this is totally something that I would do! I have an awesome idea.. make it happen and then um.. yeah.. lose it! So you didn’t FAIL persay.. you just put it hold until a later date.. but as far as the project.. I think you guys totally nailed it! Can we see the rainbow pots, pretty please? this is BEAUTIFUL! 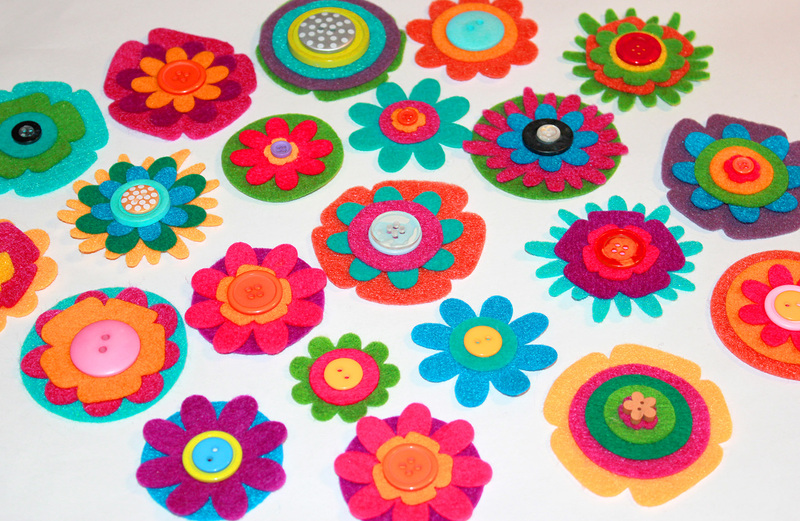 I’d like to adapt it to a felt flower necklace project I’ll be teaching 2nd-4th grade girls. Did you use a template for the flowers, and did your boys trace and cut? Thanks Heidie, that explains whythey are so perfectly uniform 🙂 I was concerned my girls would fall short. I went ahead and tried it using some templates and sme freehand. Thank You for the inspiration! I have many somewhere places lol ??? ?The Flower are Gorgeous ???? You could use them for any Occasion ???? I would prefer to receive them than Fresh flowers Cheers Kylie in Australia ???? What tool did you use to cut the felt shapes so exactly?